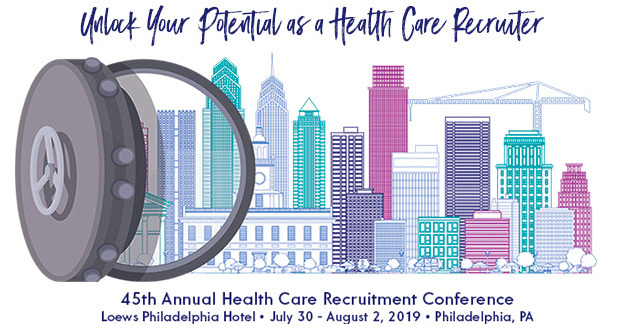 NAHCR offers health care recruiters the opportunity to enhance their industry knowledge and improve their recruiting skills via its annual health care conference—the only health care recruitment conference designed by health care recruiters for health care recruiters—and monthly educational webinars. Most NAHCR educational events carry valuable continuing education credits which can be used toward recertification requirements. NAHCR is an HRCI Approved Provider, offering the recertification credits HRCI-credentialed professionals rely on to maintain their credentials. NEW! Beginning March 2018, NAHCR is recognized by SHRM to offer Professional Development Credits (PDCs) for SHRM-CP® and SHRM-SCP® credential holders. All NAHCR educational events carry credit toward recertification of NAHCR’s Certified Health Care Recruiter (CHCR) credential.